Staying in Whistler doesn't get better than this! Enjoy our beautifully appointed, luxury two bedroom, view condominium situated right on the main run of Blackcomb Mountain. The location couldn't be better... Take the skis out of your car and put away the car keys until it's time to depart. Everything is walking (or skiing) distance away but you won't want to go that far from home as you'll have EVERYTHING you need to make this one of the most memorable ski vacations you have ever had. Our condo has two bedrooms, an extra 'murphy style' bed in the foyer and can comfortably sleep 7. There was a lot to choose from when we were looking but when we saw the Woodrun nothing else came close. We looked the perfect slopeside locations that was within walking distance of everything but still far enough away from the party scene to allow us to have a great sleep. The building maintenance ws (and still is!) better than almost all in the village and the orginal construction was great quality. The place was a great ski in ski out location. Very nice unit. We enjoyed the trip! Very nice, tastefully decorated condo with all amenities one can wish for (including free underground parking)! The owners were extremely friendly and helpful in recovering some items we forgot in the condo, thanks again. This year marks my second consecutive ski trip to Whistler. 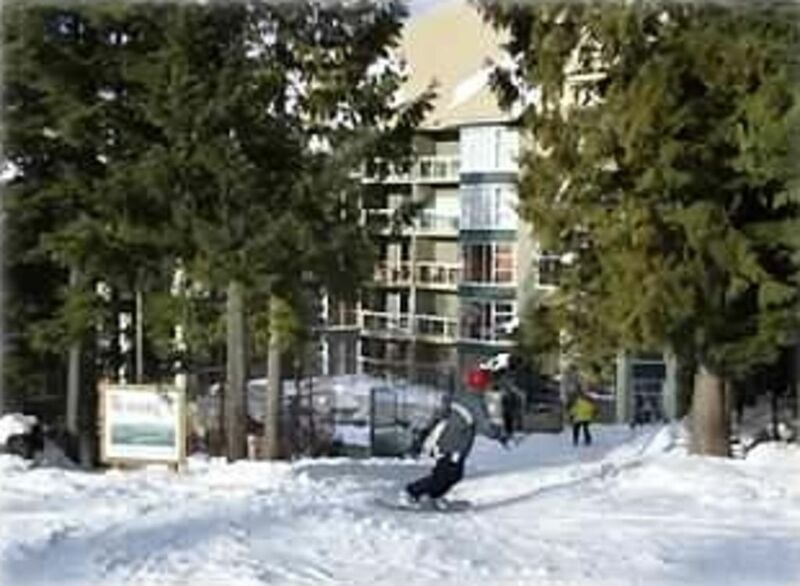 We love staying just off the slopes on Blackcomb mountain and this condo was another winner. Great location. Loved the big hot tub. Plenty of room for 6 of us. Friendly, responsive owners. Helpful front desk staff. Would definitely stay here again. Great location, comfortably appointed. Loved that the Murphy bed is tucked away in a nook, so that it had a bit of privacy. Great location. Has everything you need, hot tub, ski in/out, can walk to everything. Place is actually nicer than pics. 5 guys went, everyone slept comfortably. Owners were responsive and easy to deal with. Would stay again. Charming, true ski in ski out, amazing view. We woke up every day to a mountain sunrise out massive windows and fresh tracks on black comb. Hot tub was kept at a great temperature. Kitchen was as advertised: ready for gourmet cooking. AND it was conveniently walkable down slope to the village. In a rare turn of events for the area: parking was free! Host was very responsive, super accommodating, and obviously cares about the property very much; we felt like we were in a home, not a hotel. We booked this because aspens was full up. We will probably look here first next year!